Link building is a unique niche requiring specific traits and tricks to create the optimum outcome. Companies need good link builders to help them gain exposure in their industry and throughout the web. As a link builder, it seems easy to stay sharp on technique and strategy, but sometimes it’s good to assess your position and remind yourself what is important to help you reach new levels of success. At its core, link building focuses on discovering new ways to get your links placed on various pages outside a company’s website. Part of a link builder’s job is to pinpoint which site Google recognizes as an authority, and then start formulating various ways to get your site linked from the authority. Backlinks ideally need to have a good reputation, which will ultimately help boost your company’s SEO rankings. However, be prepared to practice patience. 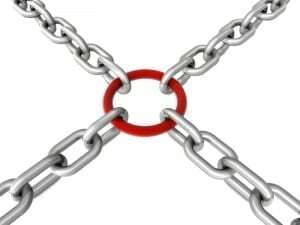 Since quality links are usually higher ranked sites, it’s more difficult to land a site link. Establishing a network with thought leaders, influential bloggers, and other prominent voices in your industry helps create a foundation of friendship with potential to morph into a host site for linking. A quality backlink is a website already Google views as an authority, but locating the perfect target site still requires creativity to discover other voices in your niche market. To prepare to find target sites, write down the essential keywords associated with the page. After identifying the central idea, make a list of every additional term correlated with the core concept. Beginning the process this way helps a link building professional identify markets with loyal followings and niche communities. These are the people you want to target when you begin link building for a website. After Google searching various terms, begin examining the content available at each location. Content speaks loudly about a company’s activities, priorities, and level of influence in their industry. A lack of content indicates a lack of dedication. Those websites are not worth using as target sites. Successfully identifying promising target sites is only half of the equation. 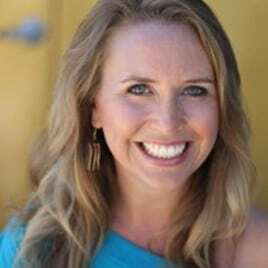 Making a personal connection with the webmaster is the other half and is even more crucial for success. In this situation, resist the urge to send a generic message. Make the email personal and express specifically why you are interested in partnering with the site. Webmasters and bloggers typically respond better to this personal approach. Link builders cannot forget to add a human touch to their work. Although the majority of their job takes place behind a computer screen, human connection still works in inexpressible ways. Link building is an obvious component of any company’s SEO strategy. While link builders naturally learn effective SEO practices through their job, studying current trends and new developments should be a routine part of each day. For example, Google recently updated their local search engine algorithms, which is causing confusion for SEO’s and small business owners. The update reorganized how Google filters local search results by adding new location and distance ranking parameters. A link builder interested in creating optimum results should use this type of information to adjust parameters for target sites. When rankings change, link building changes too. The ever-evolving nature creates new obstacles for link builders to overcome; therefore, routine research should be a normal part of each day. The nature of the job requires a detail-oriented, self-motivated individual who cultivates an appropriate measure of OCD to get the job done properly. Experience makes the process more natural, but a large part of link building involves methodically entering information in specific patterns throughout the day. Marketing departments benefit from finding someone who is passionate about the details and works diligently to make each piece of the link building puzzle fit together effortlessly. The essentials of link building culminate in one overarching principle: don’t be afraid of unknowns. Reinventing old material doesn’t help attract a new audience or inspire fresh ideas. The links you discover should provide new outlets and possibilities for the target audience. While link building requires a formulaic process for success, creativity should not be absent. Keep your toolbox full of fresh ideas to guarantee the best results.